A dynamic TPP action game created by Yager Development. The game provides a continuation to the Spec Ops series started by Zombie Studios in 1998. The action takes place in Dubai, which is devastated by sand storms. 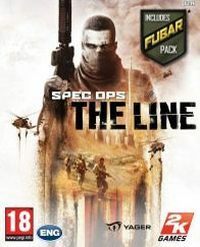 Spec Ops: The Line for PC, PS3 and X360 is a dynamic, TPP action game created by Yager Development – a company popular for a futuristic simulator Yager. The game brings a continuation to the Spec Ops series initiated by Zombie Studios in 1998. The player is taken to one of the richest places in the world, namely Dubai. The city is devastated by sand storms. Facing a natural catastrophe, a group of American soldiers led by Colonel John Konrad remains in town in order to protect the inhabitants unable to escape. Contact with the squad is cut however, and the army sends a rescue team after receiving an alarm signal. Accompanied by Martin Walker and the Delta Force squad, the player travels to sand-covered Dubai. It soon turns out that it is not an ordinary rescue mission, for John Konrad and his loyal soldiers do not wish to be rescued. During the mission, the player's sense of morality is tested more than once - one is required to make difficult choices affecting the lives of many. The player explores subsequent locations and fights enemies, while leading a team of three skilled soldiers. Sand is an important element of the game (generated by dynamic weather conditions), because it becomes the player's ally or foe more than once. The player explores both streets covered with sand and interiors of multi-floored buildings. Spec Ops: The Line for PC, PS3 and X360 stands out with spectacular visuals and its specific, sandy colors. The player observes bizarre-looking landscapes consisting mainly of skyscrapers surrounded by dunes. Apart from the singleplayer campaign, the game offers a multiplayer component.